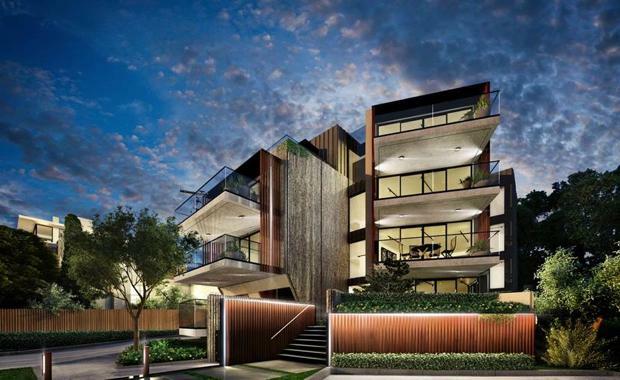 A Chinese investor has acquired a South Yarra luxury development site for $4.8 million, only days before it was due to go to auction. The 596sqm land holding, located at 127-125 Alexandra Avenue, features a premium riverfront location with close proximity to Como Park and the Chapel Street retail, entertainment and dining precinct. The site further offers permit approval for seven luxury apartments over four levels. Julian White, Scott Orchard and Mark Wizel of CBRE Victorian Development Sites negotiated the sale which was transacted 72 hours before auction, when a mainland Chinese group made an irresistible offer of $4,800,000 - representing $680,000 per apartment. Mr White said despite the property’s relatively small land size, strong interest was received from a broad mix of local and offshore groups, with the campaign attracting in excess of 100 enquiries. “The sales campaign was incredibly competitive with buyers displaying confidence in the property’s riverfront location, South Yarra address, and development potential," he said. “We are witnessing a huge increase in buyer demand for larger apartments, particularly in aspirational suburbs such as South Yarra, where high median house prices inhibit freestanding home ownership. The demand for larger apartment spaces is also being driven by baby boomers who are looking to downsize from the maintenance of a big house, but still have a preference for spacious living. "Mr Wizel also added: “The Alexandra Avenue sale is a clear demonstration of mounting demand, from both local and offshore groups for permit approved development opportunities. Offshore groups in particular are attracted to these luxury permitted opportunities and are willing pay a significant premium for it."